BREAKING NEWS, November 16, 2018—Bulgari has just revealed it bought back this masterpiece for the Heritage Collection. Find out about the history of the design that sold at Sotheby’s in Geneva for just over $1-million in the story below. 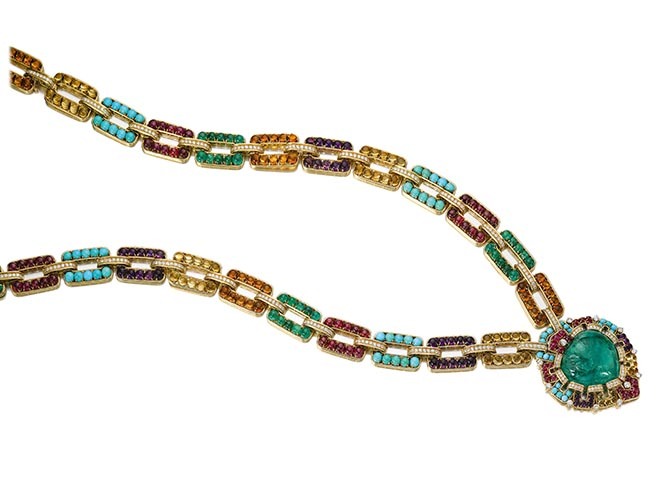 It’s one of the most famous Bulgari jewels few people have ever seen in person. The spectacular gem-set and diamond sautoir made by the Italian jewelry in 1969 and being sold at Sotheby’s in Geneva at the Magnificent Jewels auction on November 15, 2018, has been known by generations of jewelry lovers through a wildly imaginative picture published in Vogue. Shortly after the jewel came off the work bench in Rome, it was shot by one of the most famous fashion duos of the period, photographer Franco Rubartelli and his lover and muse Veruschka. The huge piece was draped on top of a pink headscarf covering the statuesque model’s head and neck. Her tanned face highlighted with bold blush tones on her cheek bone and brow. 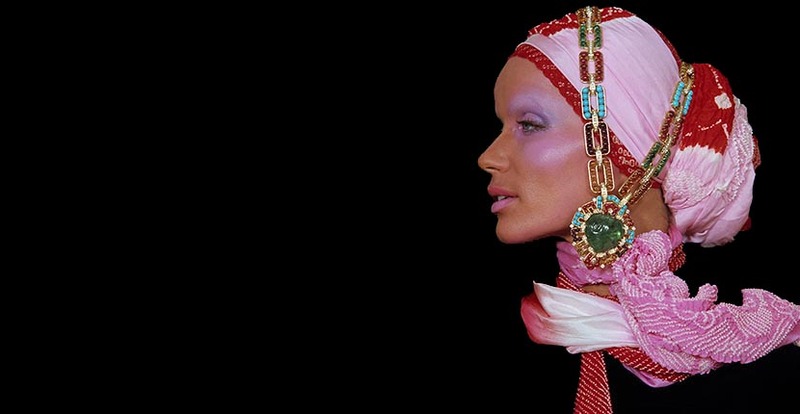 The wild combination of rubies, amethyst, citrines, topazes, turquoise and emeralds in the jewel with the pink in the scarf and makeup really popped against the black background, creating an iconic fashion image. The size of the gems and the jewel in the photograph looked large on the 6’3” model’s head, but was difficult to decipher just how big it was. By the numbers, the tear-drop shaped cabochon emerald in the pendant weighs 127.35-carats. The necklace is 860 millimeters or around 33.8 inches long. It can be taken apart and worn as two bracelets or one shorter necklace. 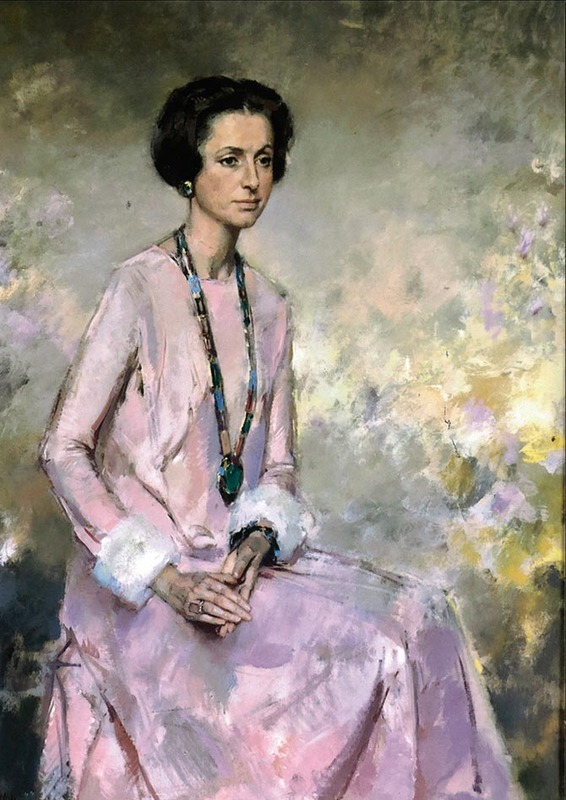 The jewel was acquired by a stylish collector from Bulgari in Rome and virtually disappeared from public view after its famous fashion moment. It wasn’t until 1996 that the piece surfaced again. 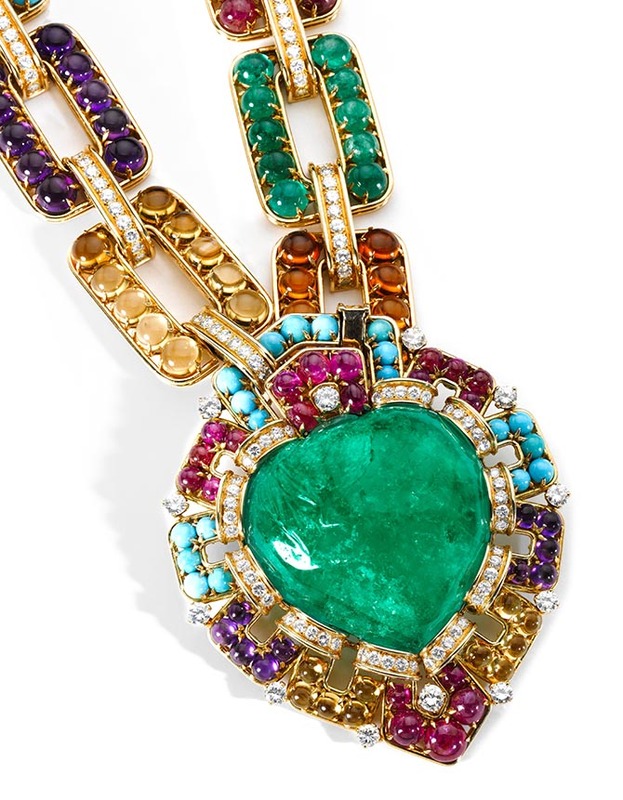 A drawing and detail image of the jewel was published in the first retrospective book on Bulgari by Amanda Triossi and Sotheby’s Senior Director Daniela Mascetti. A few details of the jewel that may have been overlooked in the splashy fashion photo relate to the bold pendant part of the necklace. The emerald cabochon has a carved element in the shape of an Indian boteh motif or a paisley in the upper left corner of the photo above. The MET Exhibit Asks: What Is Jewelry?